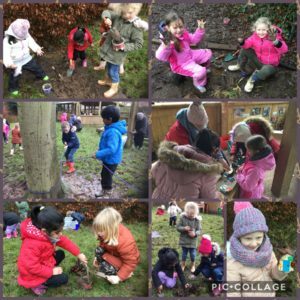 With the recent change in weather, Forest School was a whole new world today! 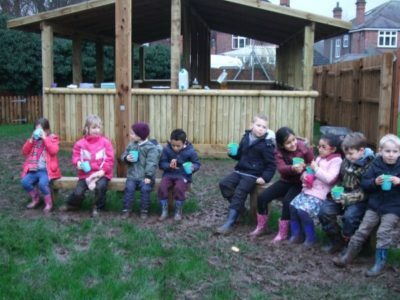 The children had lots of fun exploring the muddy ground and used the mud in some very inventive ways! We learnt about wattle and daub and how the mud, mixed with straw, could be used to create walls on their tipi houses. 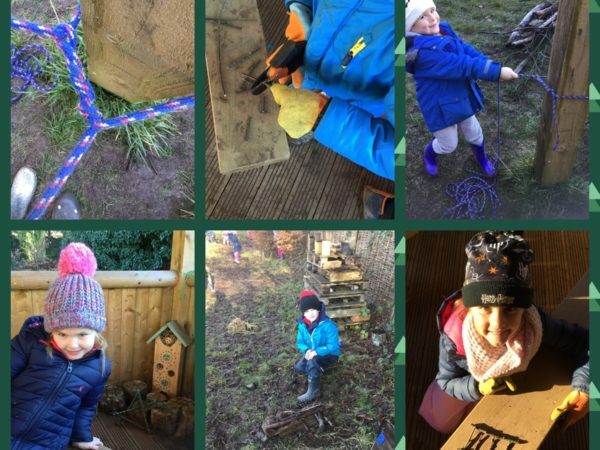 The children also learnt their first knot today, which they put into practice whilst using rope and tarpaulins to make dens to shelter from the rain. 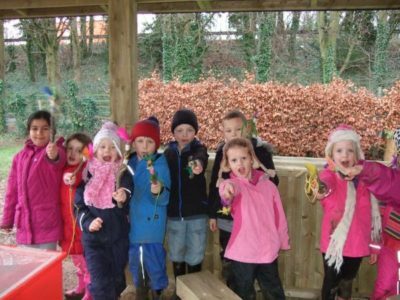 We can’t wait to see how the weather changes Forest School next week!